The winner and runner-ups of World Mayor 2012 will be chosen based on the number of nominations in relation to the size of their cities and, more importantly, on the persuasiveness and conviction of testimonials received during this year's World Mayor Project. Below we publish a selection of comments received to date about WM nominee Lisa Scaffidi, Lord Mayor of Perth, Australia. Mayor Scaffidi has signed up to the City Mayors Code of Ethics. Comment: Of all the dignified luminaries standing on the Anzac Day dais, Lord Mayor Lisa was the only one who really saw the little chap of six or so who was proudly marching, very formally dressed and with a wonderful sense of occasion. It was all over in three seconds; the intense eye contact, the lowering of her body, the explosive smile, and the wonderfully warm wave of her hand. Nothing else could so exquisitely have shown him that he mattered, despite his size, that he had earned respect, and despite his ethnic face, he was absolutely one of us. That's a lot of good to achieve in just three seconds, but excellent leadership is like that and everyone who saw her and the boy recognised her for what she is, and how she changed the role of Lord Mayor of Perth for the better. Comment: Dear Lisa, (Lord Mayor) you are doing a fantastic job, upgrading Perth to a very beautiful city, or it will be, if the knockers would let you, stick to your guns, You are a lovely lady, very generous, everyone I talk to love you and think you are doing a great job. Comment: Lisa has instilled an air of confidence into Perth. Confidence into small business. Confidence into the people and confidence into what has always viewed itself as a big country town. Perth has changed forever under her guidance and put it on track. Some locals still view Perth through their reminiscing eyes of 1965. Times have changed, the population has exploded and critical infrastructure is required. Lisa has listened to what the majority of people here have been asking for, for decades, and supported large scale development of lands that a vocal few protest against. Her office door is always open to listen to anybody with an idea. Not al ideas are great, however she listens with patience and takes all on its merits, never quick to dismiss without a taking a good look at it. Comment: I come from a back ground with little education and an unstable abusive family. And I have never had a good roll model or really one caring person to encourage and inspire me to be a better person until I meet the Lord Mayor of Perth, Lisa Scaffidi. She has been so supportive and made a massive impact on my life. I am now at university and believe in myself which is something new to me. I have confidence that I can achieve what ever I want to if I work hard at it (the attitude Lisa has imbued in me). I think Lisa should be World Mayor because she cares about every aspect in our city, right down to the people in it, and right down to the small people like myself. She always makes time for everyone and she works so hard. She has a certain glow about her, as if she is an angle, inspiriting and guiding people to care about themselves as well as the future of our city. 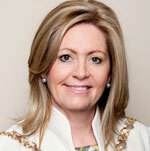 Comment: I am delighted to be able to vote for Lisa Scaffidi to become the 2012 World Mayor. Ms Scaffidi is a people person with a wide range of contacts in all levels of her diverse community. Above all, Ms Scaffidi is outstanding in her ability to combine her vision for the the development of her cityof Perth, coupled with a notable helping of good common sense, a clear recognition of the city's present realities and her adroitness in the management of business through her council. Always accessable, she has a very strong commitment to the promotion of the city's youth tied to the realistic monitoring of their progress. Federally, Ms Scaffidi has been (and continues to be) strongly articulate in arguing for federal funding for key projects for her city and state. Equally, she is a strong champion of the third level of government within Australia's system of federation. Comment: I am very disappointed in the Mayor of Perth, Lisa Scaffidi, because a Foreshore Development Plan was approved during the last two years. This is a really bad plan that has already seen the destruction of ten heritage listed 115 year old moreton bay and port jackson trees. The Esplanade, which is an open grassed area, near the Swan River and is Heritage listed also, given to the people of Perth for recreation for ever, is to be sold to private developers. This is reclaimed land and 9 towers are to be built around an inlet. These towers will be 25 to 36 storeys high. To enable the inlet to be built Riverside Drive will be cut and 20,000 -30,000 cars a day diverted through the central business district. This will cause traffic chaos. Anyone who takes a clear common sense look at the plan can see how faulty it is. I attended a meeting where Lisa Scaffidi presided and our proposals, comments and questions were not duly considered. We were treated like unruly children. She kept the time unusually short for such a big issue that will ruin Perth that is known for its beautiful foreshore. The construction time for this project is 10-20 years of disruption to city businesses and tourism.It will only benefit the developers. It will not enhance our currently beautiful and gracious city of Perth on the Swan River. In fact the River will be polluted from dredging and silting up of the inlet.No consideration has been taken of rising sea and river levels.